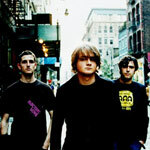 Keane (formed in 1995) is an English alternative rock band. 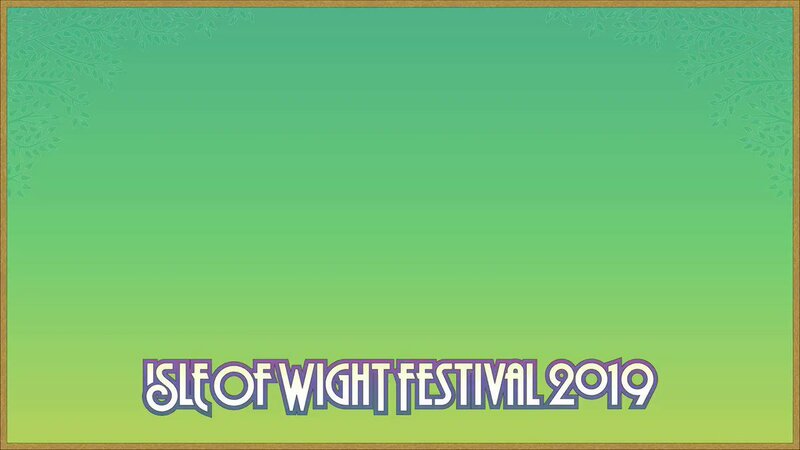 The line-up of the band is Tim Rice-Oxley (bassist and pianist), Tom Chaplin (vocals) and Richard Hughes (drums). The original guitarist, Dominic Scott, left the band in 2001. The parents of the Rice-Oxley and the Chaplin families became friends, when their children were young, as did their children. Tom Chaplin's family owns the Vinehall School in Robertsbridge, where his father was headmaster for 25 years. 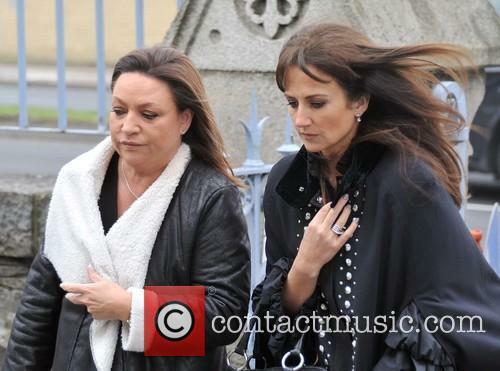 Later, they attended Tonbridge School, a private school in Kent, where they both discovered their love of music. In 1995, Tim formed a band with Dominic, whilst he was studying for a Classics degree at University College, London. With Richard on drums, the band named themselves The Lotus Eaters and started out as a covers band, playing songs by The Beatles and U2. Chris Martin invited Tim to join Coldplay in 1997, but the pianist declined. Tom joined the band that same year, and took over Tim's role as lead vocalist. The band changed their name to Cherry Keane, after an old friend of the Rice-Oxley and Chaplin family, who had left money for the Chaplin family after her death from cancer. Keane's first live gig was at the Hope & Anchor pub in Islington, London. For the next two years, the band played a number of pub gigs in and around London. The band released their debut single, 'Call Me What You Like' on their own record label, Zoomorphic. Only 500 copies were pressed and the CD was sold at Keane's gigs. 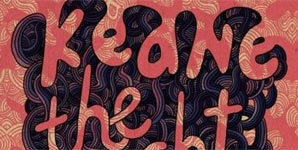 Their second release was 'Wolf At The Door', which was limited to 50 copies. In 2001, Keane signed a publishing deal with BMG. In 2002, a gig at the Betsey Trotwood was watched by Simon Williams of Fierce Panda Records, who released the band's first commercial single, 'Everybody's Changing'. Keane were eventually signed by Island Records in 2003. 'This Is the Last Time' was to be their final release on Fierce Panda. Keane's first single for Island was 'Somewhere Only We Know', which reached number three in the UK charts. The debut album, Hopes and Fears, was released in May 2004 in the UK and became the second biggest album in the UK, losing out to the Scissor Sisters. 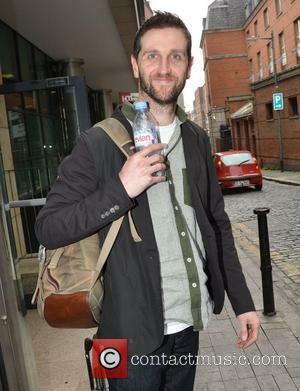 In 2005, Keane won the Best British Breakthrough Act at the BRIT Awards and Tim Rice-Oxley won an Ivor Novello for his songwriting skills. Keane performed at the London leg of the 2005 Live 8 concert and they are also patrons of the War Child charity. Keane's second album, Under the Iron Sea was released in 2005. The first single from the album was 'Is It Any Wonder?' and the band also released a download-only music video for 'Atlantic'. They then released 'Crystal Ball' and 'Nothing In My Way' as singles. 'The Night Sky' was released as a fundraiser for War Child. 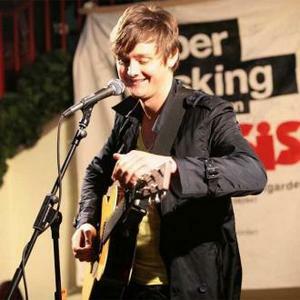 In 2006, Tom Chaplin left the band's extensive world tour to attend a rehab clinic for alcohol and drug dependency. A 9-CD box set, Keane Live '06 was released by Concert Live and sold at each Keane concert in the UK during October 2006. Tim Rice-Oxley also spent this time collaborating with Gwen Stefani on her single 'Early Winter'. 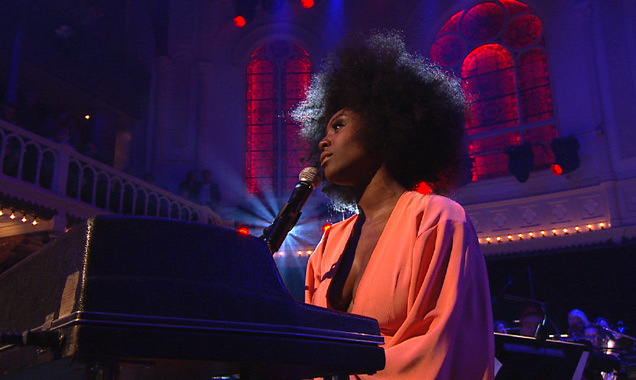 He also co-wrote two further songs on her album The Sweet Escape. 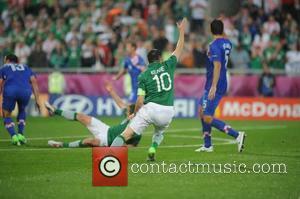 Keane's third studio album was released in August 2008. The first single from Perfect Symmetry was 'Spiralling'. Tom's voice on the 'Spiralling' has been compared to that of The Killers' front man Brandon Flowers. Perfect Symmetry reached number one in the UK albums chart. 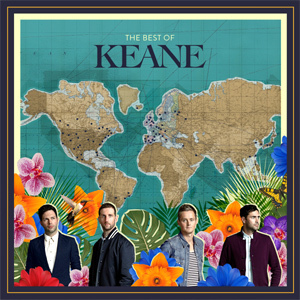 Keane have marked ten years of success with the inevitable release of their 'Best Of' collection; an 18-track, five-album spanning compilation from one of the most unsuspecting success stories of recent years. 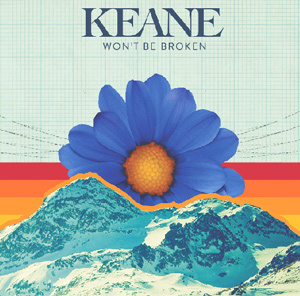 Featuring new singles 'Higher Than The Sun' and 'Won't Be Broken', the band look to the past for the majority of the album, but also hint at their future on their 'Best of'; whilst normally a sign of the end, Keane might have a few tricks up their sleeves still to come. 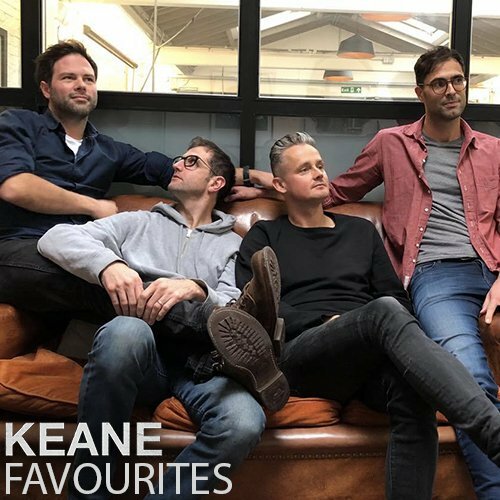 As someone who has never understood the appeal of Keane, their 'Best of' was never really going to change my opinion of the band and, indeed, this turned out to be the case. 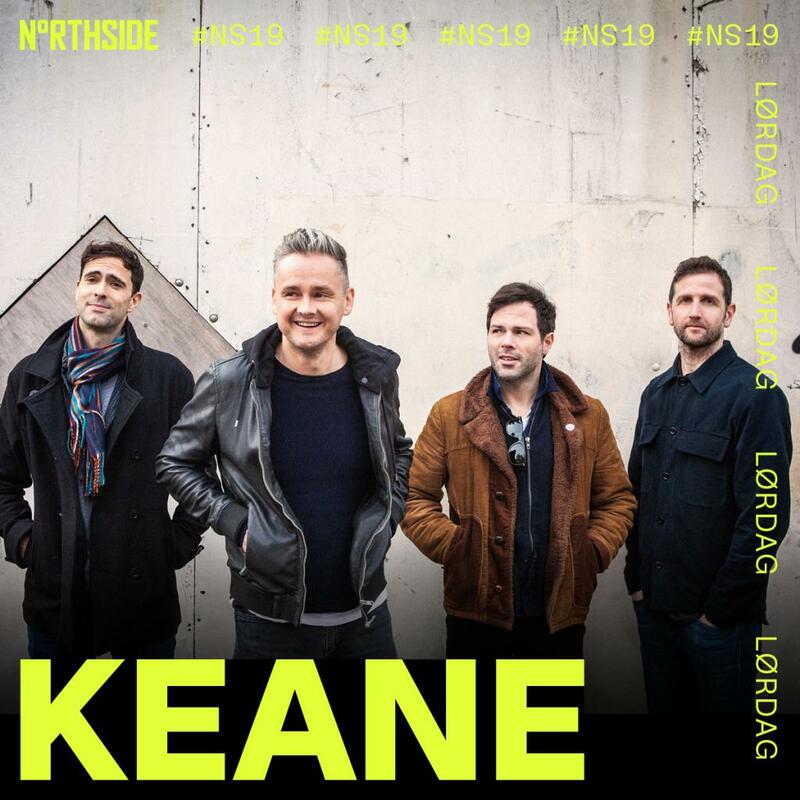 Still, Keane are a band with a fan base that genuinely stretches across the world and the album will be making its way on more than a few lists for Santa, so even for someone who isn't a fan, there is stuff on the album to at least appreciate, right? 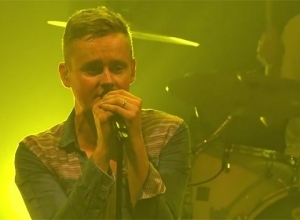 As clichéd as it sounds, Keane are one of those bands that can't be defined by one genre. It's not really poppy enough to be classed as pop, not rocky enough to be rock, not electronic enough to be acid house and this is probably where most of their appeal lies. That middle of the road, slightly interesting, mid-afternoon background music that can please mum and dad, and maybe even the kids too. 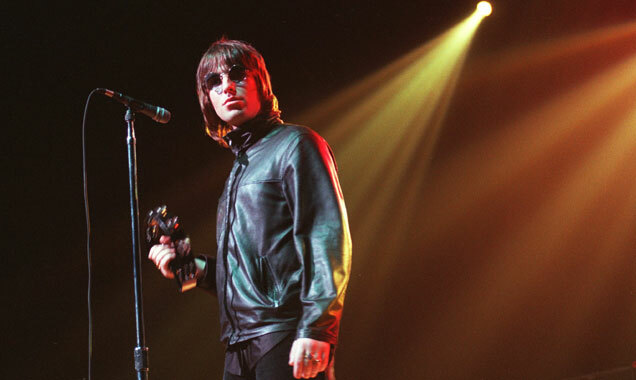 Their broad appeal speaks volumes to their enduring success and, with five consecutive UK number one albums and every honour Q Magazine could possibly throw at them (quite literally), this has shown since they burst on the scene in the early 2000s. Pacific Rim relies heavily on Japanese inspiration. So there's the question. What links one of the Hollywood's most famous directors - Guillermo Del Toro - with British band Keane? Well, we're going to tell you. It's the wave. The Hokusai wave, of course. The new movie is set in a near future where soldiers pilot giant mecha into battle against invading giant monsters who have risen from the sea. Sounds mental doesn't it? Clearly, there's been plenty of varied inspiration for Pacific Rim though probably none more than the work of Japanese artist Katsushika Hokusai, particularly his famous print The Great Wave off Kanagawa. Created in the 1820s, the striking image of a crashing wave is one of the most famous pieces of Japanese art - you'll know. "I would say 'Give me a Hokusai wave,' " del Toro told Variety of his inspiration. "I think (the vfx team) did a tremendous job; we use the waves and weather in the movie very operatically." Hokusai's famed image has inspired tons of artists, including the English rock band Keane whose 2006 album Under the Iron Sea took inspiration from the image for the artwork. The album went in at No.1 on the UK chart and No.4 on the Billboard 200. It has since sold 3,000,000 copies worldwide. 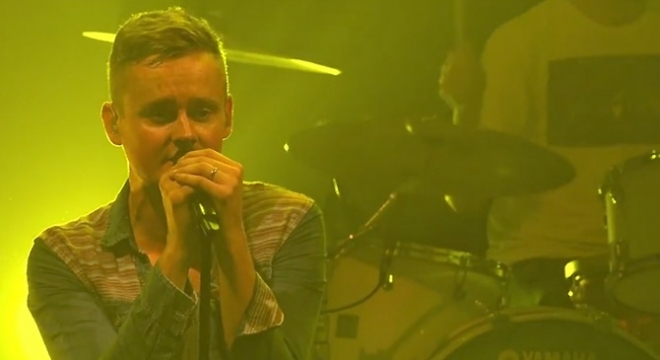 Continue reading: What Links Del Toro's Pacific Rim And UK Soft Rockers Keane?